Today I learned that if the local Git email is set to a wrong email address and you commit, you may end up committing as not you on GitHub. During a demo, I set my local Git email to me@gmail.com. git config --global user.email "me@gmail.com"
Well, when doing a commit, it appeared to has been made by thssuck (ironic isn't it?) instead of guybarrette. 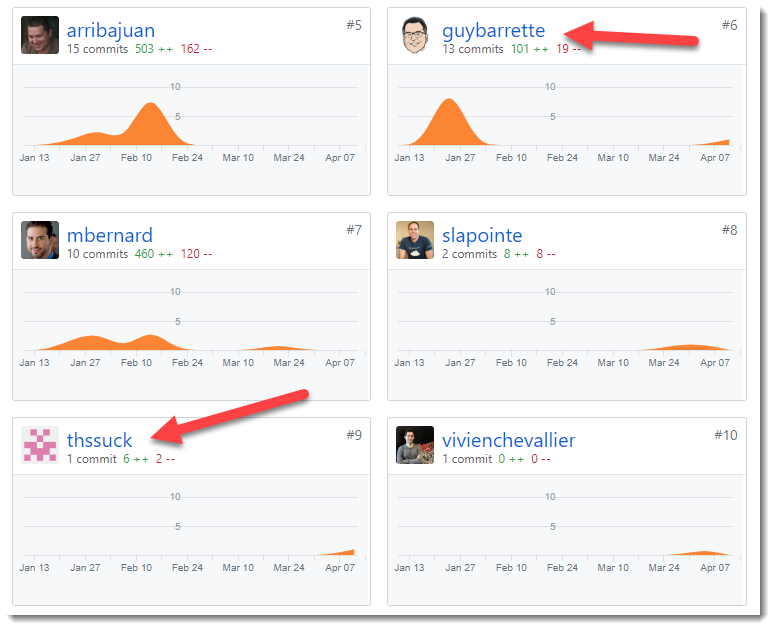 Thanks to Alain Vézina who pointed me to the solution: simply set the email to the one set in GitHub.